Hi everyone! Just by reading the title, I know what you're thinking. Yes gworl, I was hooked. I can't help myself. For my international readers out there, Guardian and Watsons are like the "Malaysian Walmart", the "Malaysian CVS". 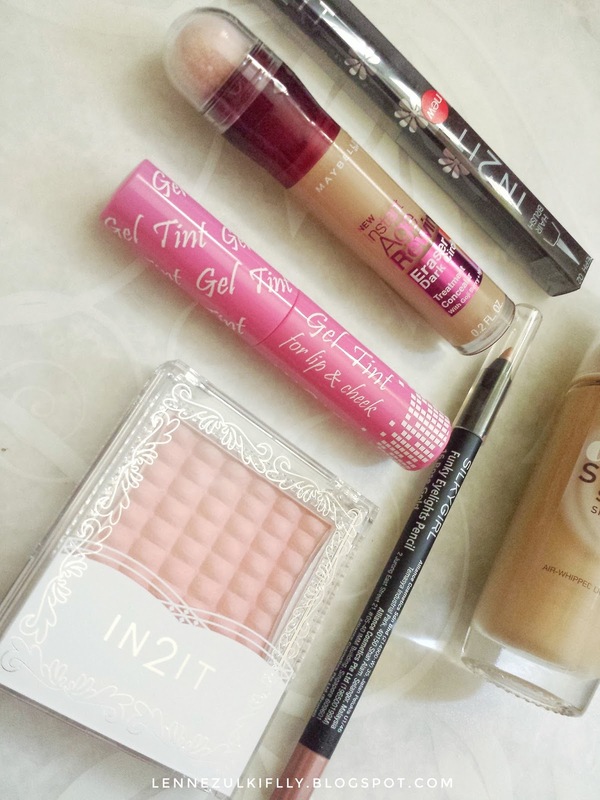 So, they have recently had sales, and me being the makeup enthusiast, I couldn't resist so I picked up a few things. There weren't many things left because I shopped at the very last day of the sales but it's okay. I think these are enough for me. And I think I did good. The real reason behind why I bought this foundation was because I went to not one, but two Guardian outlets just to pick up my holy grail foundation, but mission failed. They didn't have it in my shade anymore. It was sold out. It was such a bummer because I could totally make use of this sales and save some cash. However, the moment I saw the price of this particular foundation, I immediately picked it up and was shade matching and all. Honestly, this foundation is nowhere near to my favorite foundation. They're totally the opposites but I guess, no harm trying it out, right? It was so hard to find the closest shade to my favorite foundation shade. Some are like too pink, too warm, too light. The one I have right now is the closest! It wasn't so bad but I can tell it's a little warm undertoned compare to the shade I used to in the Fit Me Foundation. Thank god for my sister, she helped me a lot to choose the right shade. Anyway, it's my first time trying this foundation out and I have wore it once so far. I still don't have like overall thoughts about it just yet. I will let you guys know in a product review post perhaps? We will have to see. Btw, this foundation retails for MYR27.45 (NP: MYR49.40) after discount. Good enough, right? Have anyone tried this foundation? My. Holy. Grail. Concealer. Hands down. Seriously, I can't get enough of this. It's so so so good. Definitely worth the hype. It conceals everything, it highlights very well. I have the worst dark circles and this concealer is literally a lifesaver. Coverage, on point. Longevity, on point. Everything on point. I managed to pick this one up for MYR19.95 (NP: MYR31.90) It was totally a catch. Highly recommend! I'm back on track with this lip tint. I'm using the Tony Moly one for quite some time now and I'm running low of it. Good thing I picked this one up and it retails for MYR5.45 (NP: MYR10.45) you guys! Now let me tell you, I have been wearing this since my high school days. It's my all time favorite. The formula is so different than the other lip tints I have tried. It has a gel consistency, hence the name. It stays on the lips all day, doesn't dry out the lips like crazy and it smells edible. Love it! I feel like IN2IT is one of those brands that creates great blushers. I have tried quite a few blushers from the brand and the quality was top notch! They're pigmented, smooth and buttery. This one stays on the cheeks all day long too. 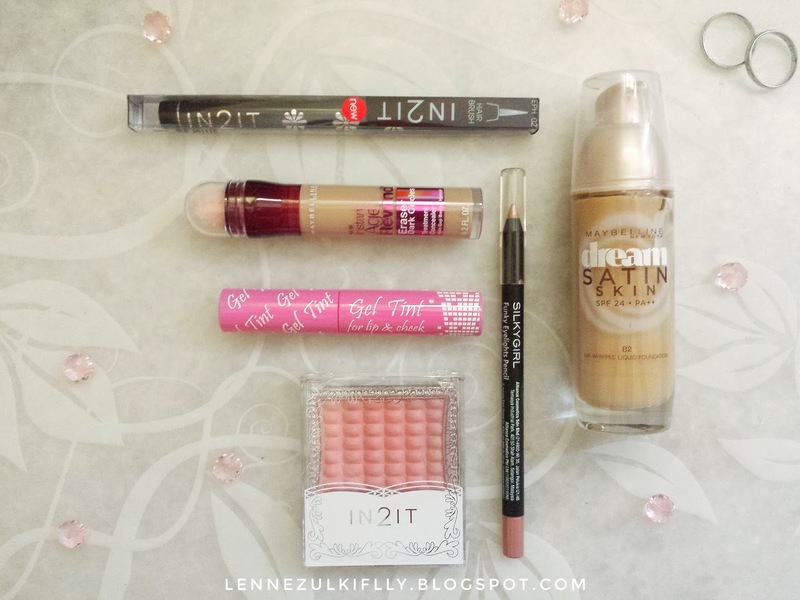 If you're a newbie and all clueless on where to start on blush, I definitely recommend IN2IT. So good! I'm trying out different shade than what I used to with this specific blush because why not? I think the shades that they have are nice too. They have corals, pinks, mauves, shimmery, mattes and all of that good stuff. It retails for MYR9.95 (NP: MYR17.90) after discount. What a bargain! If you feel like eyeliners are intimidating, I recommend trying this one out. Seriously, even newbies can get away with it. It's so good, I have repurchased it a gazillion times already. Balls to you, IN2IT. I got it for MYR12.45 (NP: MYR23.90) if you're wondering. Thank god they still have it, like precisely in the shade that I really want. This is so pretty, it won't budge, it stays put (like literally stays put) and did I mention that it's pretty? Yup, I did. I have been wearing it non stop ever since I got it. You can tell that I'm obsessed! I bought it for MYR9.25 (NP: MYR18.50) Now that's reasonable. Hehe. Aww it's okay, at least you didn't have to bersesak-sesak dengan orang ramai haha! Fatin tak pergi pun time diorang buat sale. Sebab busy. Haha. Lagipun, buat sale time tengah tak berapa nak berduit ni (sakit hati jugak rasa) Huhuhu. 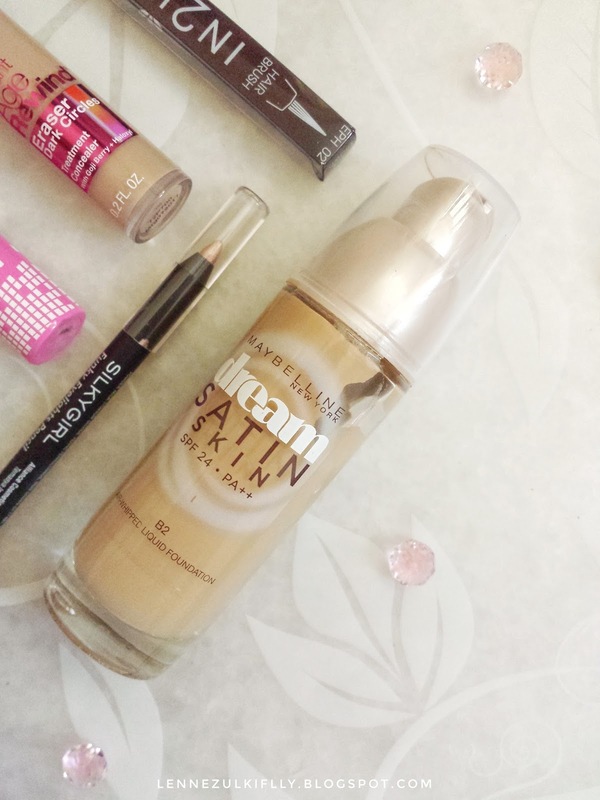 Was thinking to buy the dream satin maybelline foundation for everyday use. Hope it's good ya! Thanks for sharing your thoughts. Best eh concealer tu? Sebab Nad pakai yang concealer yang jenis lagi satu tu, since tukar packaging ni dah tak best sangat. Hai lenne! rindu kita tak? haha. lama x komen di sini. 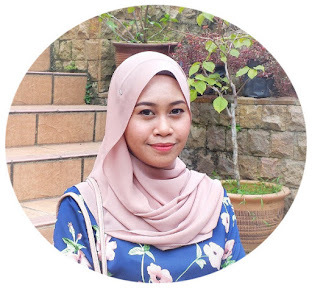 btw kan busyra tertarik dgn blusher tu. wrna nampak lembut je tngok.